This title is officially the 'Nation's Favourite Tax Book' according to AccountingWeb. This one-stop reference work is written by experts in clear, concise English. Its logical structure and comprehensive analysis of the latest legislation makes it the premier choice for the successful tax practitioner. Released in one convenient volume, it includes helpful worked examples, tax points and clear tables. The book's 45 chapters are divided into clear sections, including employment, pensions, trading, family, trusts, estates and more. This popular reference work contains essential information on all the main UK taxes and related subjects, conveniently arranged to save you the time and effort involved in researching a whole range of source material. Includes vital information on: rates, allowances, reliefs, exemptions, interest rates, exchange rates, social security benefits and much more. Charting tax changes post-Finance Act, known and respected for their accuracy, this title contains all the data you need. 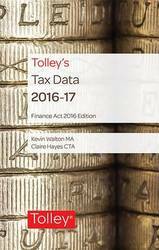 This edition includes provisions from Finance Act 2014 and updated retail price indices, together with any other information not available for inclusion in the Budget edition. The depth of data and breadth of coverage enables you to make fast, effective calculations. Clear and concise summaries of tax changes are presented in tabular form under distinctive headings. Whillans' Tax Tables provides accurate tables of all the new and revised tax rates and allowances and is published twice a year, in May and August. Known and respected for their accuracy, Whillans' Tax Tables contain all the data you need in practice. With the latest tax rates, allowances and reliefs, Whillans' enables you to quickly make calculations with accurate data. The easy-to-use layout and concise expert commentary by our technical team ensure you have exactly the right level of information on your desktop. The August edition covers Finance Act 2014. 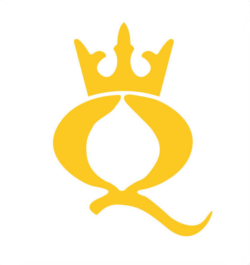 This popular reference work contains essential information on all the main UK taxes and related subjects, conveniently arranged to save you the time and effort involved in researching a whole range of source material. It includes vital information on: rates, allowances, reliefs, exemptions, interest rates, exchange rates, social security benefits and much more. Charting tax changes post-Finance Act, known and respected for its accuracy, this title contains all the data you need. This edition includes provisions from Finance Act 2016 and updated retail price indices, together with any other information not available for inclusion in the Budget edition. The depth of data and breadth of coverage enables you to make fast, effective calculations. Clear and concise summaries of tax changes are presented in tabular form under distinctive headings. 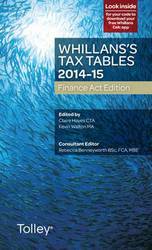 Whillans's Tax Tables provides accurate tables of all the new and revised tax rates and allowances and is published twice a year, in May and August. With the latest tax rates, allowances and reliefs, Whillans's enables you to quickly make calculations with accurate data. The easy-to-use layout and concise expert commentary by our technical team ensure you have exactly the right level of information on your desktop. This edition covers the Finance Act 2016. 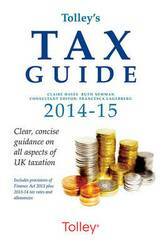 Officially the 'Nation's Favourite Tax Book' according to AccountingWeb. 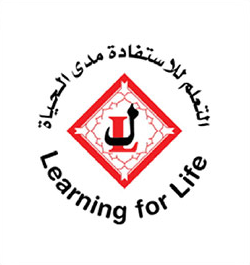 This one-stop reference work is written by experts in clear, concise English. Its logical structure and comprehensive analysis of the latest legislation makes it the premier choice for the successful tax practitioner. Released in one convenient volume, it includes helpful worked examples, tax points and clear tables. The book's 45 chapters are divided into clear sections, including employment, pensions, trading, family, trusts, estates and more. Charting tax changes post-Finance Act, known and respected for its accuracy, this title contains all the data you need. This edition includes provisions from Finance Act 2018 and updated retail price indices, together with any other information not available for inclusion in the Budget edition. The depth of data and breadth of coverage enables you to make fast, effective calculations. Clear and concise summaries of tax changes are presented in tabular form under distinctive headings. Whillans's Tax Tables provides accurate tables of all the new and revised tax rates and allowances and is published twice a year, in May and August. 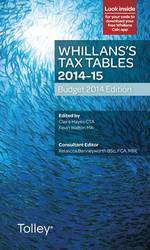 Known and respected for their accuracy, Whillans's Tax Tables contain all the data you need in practice. With the latest tax rates, allowances and reliefs, Whillans's enables you to quickly make calculations with accurate data. The easy-to-use layout and concise expert commentary by our technical team ensure you have exactly the right level of information on your desktop. The August edition covers Finance Act 2018. Charting tax changes post-Finance Act, known and respected for its accuracy, this title contains all the data you need. This edition includes provisions from Finance Act 2016 and updated retail price indices, together with any other information not available for inclusion in the Budget edition. The depth of data and breadth of coverage enables you to make fast, effective calculations. Clear and concise summaries of tax changes are presented in tabular form under distinctive headings. Whillans's Tax Tables provides accurate tables of all the new and revised tax rates and allowances and is published twice a year, in May and August. Known and respected for their accuracy, Whillans's Tax Tables contain all the data you need in practice. With the latest tax rates, allowances and reliefs, Whillans's enables you to quickly make calculations with accurate data. The easy-to-use layout and concise expert commentary by our technical team ensure you have exactly the right level of information on your desktop. This edition covers the Finance Act 2017. 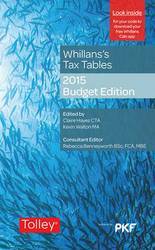 Charting tax changes post-Budget, this edition of Whillans's Tax Tables includes all the relevant information from the 2015 Budget, enabling practitioners to start processing the updated facts and figures. Revised content includes the latest tax rates, reliefs and tables of rates and allowances for the current year and previous five. Usefully, the operative date for each change is clearly shown. Concise summaries of tax changes are presented in tabular form under distinctive headings. Whillans's Tax Tables 2015-16 provides accurate tables of all the new and revised tax rates and allowances and is published twice a year, in May and August. The second edition will include provisions from Finance Act 2015, the new Revenue exchange rates and updated retail price indices, together with any other information not available for inclusion in the May edition. Whillans's Tax Tables provides: * Tax rates, allowances, reliefs and other relevant information, contained in one reliable source * Tables of rates and allowances for the current and previous five years; the operative date for each change is clearly shown * A wealth of information with useful commentaries to provide a quick answer at a glance With its clear and concise summaries of tax changes clearly presented in tabular form under distinctive headings, Whillans's Tax Tables allows you to assess quickly and accurately the long-term effects of the many tax changes arising from the 2015 Budget and Finance Act. Charting tax changes post-Finance Act, known and respected for their accuracy, this title contains all the data you need. This edition includes provisions from the Finance Act, the new revenue exchange rates and updated retail price indices, together with any other information not available for inclusion in the Budget edition. The depth of data and breadth of coverage enables you to make fast, effective calculations. Clear and concise summaries of tax changes are presented in tabular form under distinctive headings. Whillans' Tax Tables provides accurate tables of all the new and revised tax rates and allowances and is published twice a year, in May and August. Known and respected for their accuracy, Whillans' Tax Tables contain all the data you need in practice. With the latest tax rates, allowances and reliefs, Whillans enables you to quickly make calculations with accurate data. The easy-to-use layout and concise expert commentary by our technical team ensure you have exactly the right level of information on your desktop. The August edition covers the Finance Act 2013. Charting tax changes post-Finance Act, known and respected for its accuracy, this title contains all the data you need. This edition includes provisions from Finance Act 2015 and updated retail price indices, together with any other information not available for inclusion in the Budget edition. The depth of data and breadth of coverage enables you to make fast, effective calculations. Clear and concise summaries of tax changes are presented in tabular form under distinctive headings. Whillans's Tax Tables provides accurate tables of all the new and revised tax rates and allowances and is published twice a year, in May and August. With the latest tax rates, allowances and reliefs, Whillans's enables you to quickly make calculations with accurate data. The easy-to-use layout and concise expert commentary by our technical team ensure you have exactly the right level of information on your desktop.  The August edition covers Finance Act 2015. 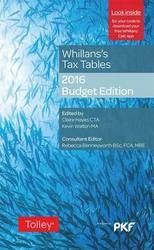 Charting tax changes post-Budget, this edition of Whillans' Tax Tables includes all the relevant information from the 2014 Budget, enabling practitioners to start processing the updated facts and figures. Revised content includes the latest tax rates, reliefs, and tables of rates and allowances for the current year and previous five. Usefully, the operative date for each change is clearly shown. Concise summaries of tax changes are presented in tabular form under distinctive headings. 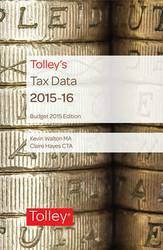 Whillans' Tax Tables 2014-15 provides accurate tables of all the new and revised tax rates and allowances and is published twice a year, in May and August. 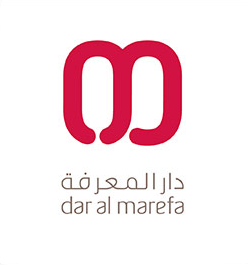 The second edition will include provisions from Finance Act 2014, the new Revenue exchange rates and updated retail price indices, together with any other information not available for inclusion in the May edition. 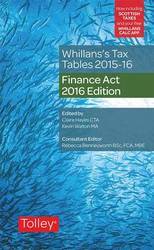 Whillans' Tax Tables provides: Tax rates, allowances, reliefs and other relevant information, contained in one reliable source; tables of rates and allowances for the current and previous five years; the operative date for each change is clearly shown; and, a wealth of information with useful commentaries to provide a quick answer at a glance. With its clear and concise summaries of tax changes clearly presented in tabular form under distinctive headings, Whillans' Tax Tables allows you to assess quickly and accurately the long-term effects of the many tax changes arising from the 2014 Budget and Finance Act. Charting tax changes post-Budget, this edition of Whillans's Tax Tables includes all the relevant information from the 2018 Budget, enabling practitioners to start processing the updated facts and figures. Revised content includes the latest tax rates, reliefs and tables of rates and allowances for the current year and previous five. Usefully, the operative date for each change is clearly shown. Concise summaries of tax changes are presented in tabular form under distinctive headings. Whillans's Tax Tables 2018-19 provides accurate tables of all the new and revised tax rates and allowances and is published twice a year, in May and August. The second edition will include provisions from Finance Act 2018, the new Revenue exchange rates and updated retail price indices, together with any other information not available for inclusion in the May edition. Whillans's Tax Tables provides: * Tax rates, allowances, reliefs and other relevant information, contained in one reliable source * Tables of rates and allowances for the current and previous five years; the operative date for each change is clearly shown * A wealth of information with useful commentaries to provide a quick answer at a glance With its clear and concise summaries of tax changes clearly presented in tabular form under distinctive headings, Whillans's Tax Tables allows you to assess quickly and accurately the long-term effects of the many tax changes arising from the 2018 Budget and Finance Act. 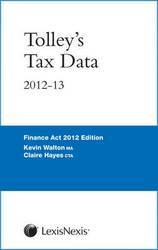 This is officially the 'Nation's Favourite Tax Book' according to AccountingWeb. This one-stop reference work is written by experts in clear, concise English. Its logical structure and comprehensive analysis of the latest legislation makes it the premier choice for the successful tax practitioner. Released in one convenient volume, it includes helpful worked examples, tax points and clear tables. The book's 45 chapters are divided into clear sections, including employment, pensions, trading, family, trusts, estates and more. 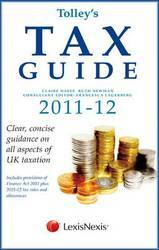 This popular reference work contains essential information on all the main UK taxes and related subjects, conveniently arranged to save the user the time and effort involved in researching a whole range of source material. This edition of the popular reference work is updated to take account of all the tax changes outlined in this year's post-election Summer Budget. Updated commentary includes all the changes arising from the Budget and any further developments post-Finance Act. HMRC exchange rates are included in the new edition as well as updated RPI and indexation allowance values. Voted 'The Nation's Favourite Tax Book' by members of AccountingWeb, this is the premier one-stop reference work for tax professionals. Written by experts, in clear, concise English, its logical structure and comprehensive analysis of the latest tax legislation make it the obvious first choice for finding answers in seconds. Complex tax legislation is translated into straightforward everyday language and the Guide includes numerous worked examples, tax points and clear tables. 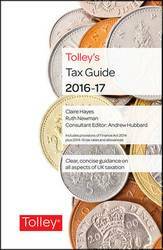 Tolley's Tax Guide covers all areas of UK taxation in one single portable volume. 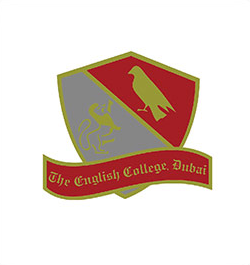 With 45 chapters and the content divided into the following sections, you can go straight to the information you need, saving valuable research time: Outline of the UK tax system; Employment; Pensions; Trading activities; Land and buildings; Tax and the family; Choosing investments; and, Other areas, including trusts and estates, and the overseas element. The following is new for 2011-12 Corporation tax. 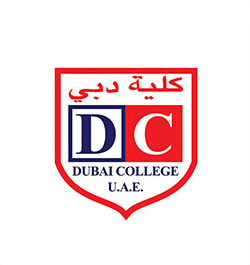 It features: reduction in main rate and small profits rate of corporation tax; changes to capital allowances regime for short life assets; extension of Business premises renovation allowance; increase in R&D relief available to SMEs; relaxation of the rules governing use of pre-entry capital losses; simplification of CFC rules; income tax; and, new rates and allowances. It also features: amendment to furnished holiday lettings relief; introduction of junior ISA and increase in ISA contribution limits; increase in income tax relief for EIS/VCT shares; increase in car fuel benefit charge; increase in tax free mileage payments for own car use by employees; changes to gift aid regime; reduction in pension annual allowance and changes to applicable benefits; withdrawal of facility to elect for income tax repayment to be made to charity; capital gains tax; new annual exemption level; further increase in the Entrepreneurs relief limit Inheritance tax; freezing of nil rate band VAT; and, new VAT fuel scale charges. In addition many of the numerous measures that have been announced to take effect in 2012 and beyond will be covered in Tax Guide as appropriate. 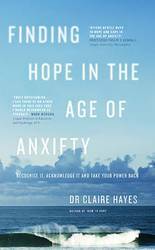 Even the best teachers can feel overwhelmed with the pressures of the job and become prone to anxiety, depression and anger. 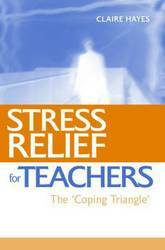 This book offers teachers an easily implemented and proven approach to dealing with these feelings in a more helpful way, enabling them to cope with taxing situations as well as the day-to-day stress of the classroom. 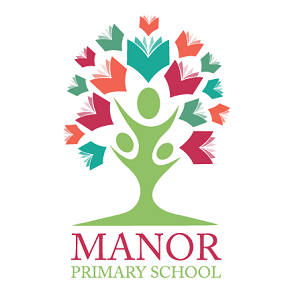 Based on the principles of cognitive-behavioural therapy and on the author's many years of experience, Stress Relief for Teachers is both a practical guide to feeling better and more in control, and a guide to understanding difficult feelings and how our thoughts, feelings and actions are inextricably linked.